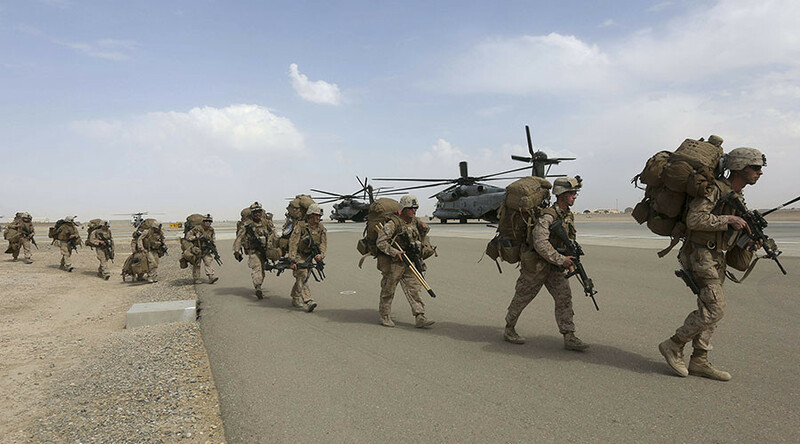 The war in Afghanistan is the longest in U.S. history. It’s lasted over 16 years and in that time America’s goals and strategies have changed. Now there’s another new plan. 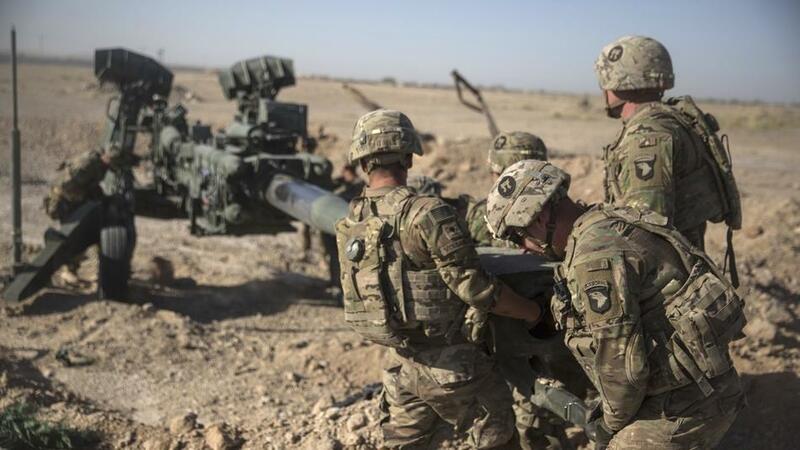 President Trump has sent 3,000 more troops to train and assist the Afghan army. But in the Afghan capital, you don’t have to go far to see the problems. Kabul is so dangerous, American diplomats and soldiers are not allowed to use the roads. As we first reported earlier this year, they can’t drive just two miles from the airport to U.S. headquarters. They have to fly. After all these years, a trillion dollars, and 2,400 American lives — Kabul is under siege. 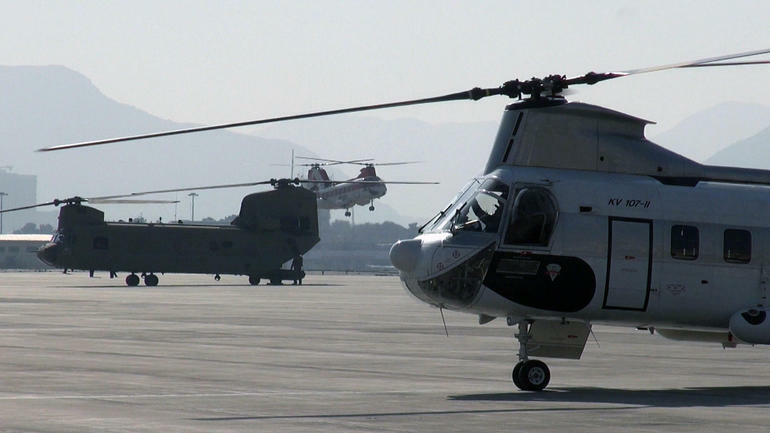 This is rush hour at Kabul International Airport — a swarm of helicopters that’s earned the nickname ‘Embassy Air.’ It’s how Americans and their allies working at the U.S. Embassy and military headquarters travel back and forth from the airport. It’s just a five-minute flight. The chopper we boarded was making its tenth trip of the day. A few years ago American convoys regularly drove on the airport road below. Now the view from the helicopter window is all most on board will see of Kabul. They’ll stay behind blast walls for the rest of their time in Afghanistan. We wanted to know what it says about where we are in this war if American troops can’t drive two miles down a road in Kabul. John Nicholson: It’s a country at war. And it’s a capital that is under attack by a determined enemy. No U.S. General has spent more time here than John Nicholson — the commander of American forces in Afghanistan. Lara Logan: You’re not using the roads. John Nicholson: Protecting the lives of our troops is our number-one priority. If we can fly instead of drive and that offers them a greater degree of safety, then it’s the prudent and the right thing to do. Lara Logan: In military terms, that’s called surrendering the terrain. John Nicholson: I disagree. I think it’s answering our moral imperative to protect the lives of our soldiers and civilians. So that’s what we do. But this isn’t some remote outpost — it’s the capital. When the U.S. first came here, the population was 500,000. Now it’s more than 5 million. Refugees, people desperate for work, and terrorists have flooded Kabul. General Nicholson showed us how vulnerable the city has become. John Nicholson: A suicide bomber is gonna go in here, he’s gonna kill himself. He doesn’t care about his future. Vastly easier than what the Afghan security forces have to do. Lara Logan: Because he doesn’t have to have an exit strategy. John Nicholson: Yeah, right now it’s easier than we would like. Afghan President Ashraf Ghani rules from the presidential palace that’s occupied the city center for more than a century. We noticed the walls around him and the rest of the city have expanded and grown taller since our last visit three years ago. Some of the streets we traveled turned into tight corridors of 20-foot high concrete barriers. It made it hard to tell where we were. Lara Logan: If you can’t secure the capital, how are you going to secure the rest of the country? Lara Logan: We’re not talking about one attack. A series of attacks right here on your doorstep, a bomb that blew out the windows in your palace that has turned this city into something of a concrete prison. Ashraf Ghani: What do you want? What’s your alternative, ma’am? American taxpayers bankroll 90 percent of Afghanistan’s defense budget. That’s more than $4 billion a year. Another $30 billion has been spent rebuilding this country. A bustling city has risen from the ruins. But in all the years we have been coming here, it’s never been this dangerous. Checkpoints choke the traffic all over Kabul. It was as difficult to film as it was to move. Terrorists can strike at any time. Nobody knows that better than the men of this elite counter-terrorism unit. They rush to the scene of every attack – such as this one at a Kabul mosque – where a suicide bomber blew himself up just steps away. They took us beyond the barbed wire to the main military hospital — the site of a chilling attack last year by the Islamic State, one of the many terror groups with a foothold in Kabul. We were told by commanders who were here that five terrorists disguised as doctors got past the hospital’s heavy security. They were armed with assault rifles and a weapon that allowed them to quietly move from room to room. Reinforcements landed on the roof. On the ledges below you can see hospital workers hiding. When cornered, the terrorists detonated grenades strapped to their chests. They murdered more than 50 people that day. Afghans normally bury their dead in a simple cloth shroud. That’s not possible when bodies are obliterated by suicide bombers. It happens so often now, Kabul’s carpenters have turned to something new — making coffins. There’s also greater demand for prosthetic limbs. This orthopedic clinic is run by the International Committee of the Red Cross. Dr Alberto Cairo: Definitely not. I don’t see any improvement. Dr Alberto Cairo has worked at the clinic for 27 years. He told us he’s treating more and more victims of terror attacks. Dr Alberto Cairo: What? The war is over. Please. How can they think of anything like this? No. The war is going on. People are very desperate. People are, they have lost hope. Dr Alberto Cairo: If you consider that the lifespan of the people in Afghanistan is around 60 years, it means that at least two-thirds of them have seen only war. War, war, war. With America’s new strategy, more troops are in, time limits are out, and Pakistan is under pressure for being a safe haven for terrorists. General John Nicholson believes this will end the war, something we’ve heard from previous commanders. Lara Logan: This is it, right? I mean, there’s no more? This is the end game? Nicholson is targeting Taliban leaders. This car carried one of their high-ranking commanders. And striking their largest source of revenue, the drug labs that turn Afghanistan’s most common crop — opium — into heroin. The goal is to do what his predecessors have repeatedly tried and failed — force the Taliban to cut a deal. Lara Logan: They don’t do it publicly. Lara Logan: It says it all that they won’t do it publicly. Lara Logan: Right. So, why all these years people have been trying to bring the Taliban to the negotiating table, they’ve never come? John Nicholson: I believe it’s because they thought they could win. Because they believed we had lost our will to win. Because since 2009 when we announced the surge, we also announced our exit date. And, so, why, if your enemy has announced when he’s leaving, then why would you negotiate? John Nicholson: No, we’re killing them in large numbers. They can either lay down their weapons and rejoin society and be a part of the future of Afghanistan, have a better life for their children and themselves, or they can die. John Nicholson: Our country hasn’t been attacked in those 16 years. They haven’t been attacked from Afghanistan. Lara Logan: A lotta people at home just don’t buy that terrorists are coming from Afghanistan to attack them at home. They’re worrying about the guy going to rent a truck from Home Depot and drive into a crowd of civilians. 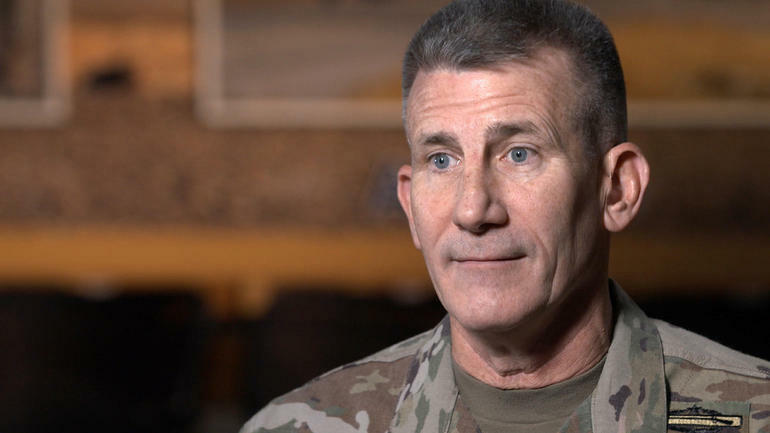 General John Nicholson told us he’s giving himself two years to deliver major changes. But it’s hard not to be skeptical in a city where the enemy has driven American forces from the roads — into the sky. Since we first broadcast our story, General John Nicholson has made securing the capital a priority. He’s ordered more special operations missions inside Kabul to target the Taliban and terrorist networks attacking the city.